Watching Sanchez this preseason, he looks to have regressed since last year's playoffs. He looks out of sync and confused. What I see is that he is not a good fit for Brian Schottenheimer's offensive scheme. 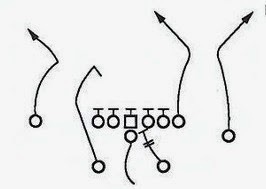 The Jets currently run a scheme a system that looks to attack down the field and is predicated off of stretching the field vertically. Sanchez looks to me like a West Coast QB and would do better in a short timing pass kind of system. I don't think that he will really have a lot of success until he is in a system that is a better fit for him. Found this blog through reddit (the manning article). What are your thoughts on Sanchez now that we are halfway through the season? Pretty much the same. Of course what is considered a "bust" to the NY fans and media might represent a viable start somewhere else. I think Sanchez could be VERY good in another system. He has all of the attributes of a star west coast QB. I could see him having moderate success over a long career in other systems, but it will never what he could be doing. They should switch him out for Aaron Rogers. Both would be better off on the opposite teams.